If diversity is the spice of life, then Oregon is an intriguing spice rack. There’s much more to our home than snowy peaks, rugged coastlines, and foggy forests. There’s no better example of Oregon’s diversity than the Willamette and Umpqua Valleys. Both regions produce spectacular Pinots. But the profound difference in weather patterns produces grapes that contribute to wildly divergent wine styles. 100% Pinot Noir from the Willamette Valley, Oregon. Medium ruby red with a bouquet of strawberry, rose hip and cranberry. 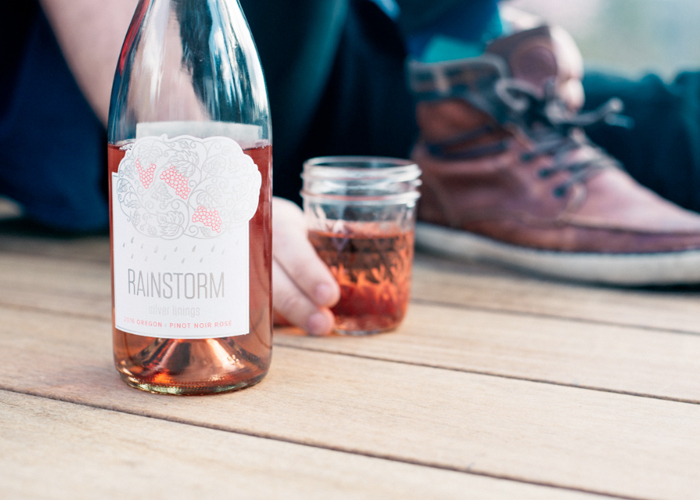 Rainstorm Pinot Noir is soft and elegant with flavors of bright cherry, pomegranate and red berries. It is closer to a European wine than a California Pinot Noir in taste. 100% Pinot Gris from the Willamette Valley, Oregon. 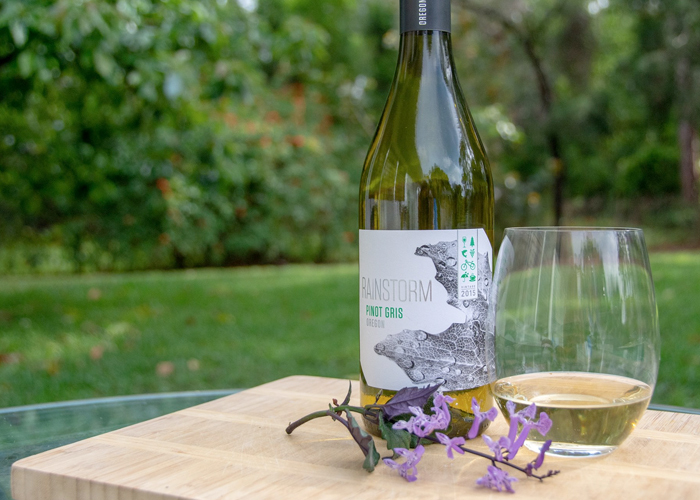 A bright cool-climate Oregon Pinot Gris. Sur lies aging imparts a slight yeasty character, tropical flavors and great acidity give this wine a clean finish. Pale gold with aromas of crisp pear, melon and honey blossom. 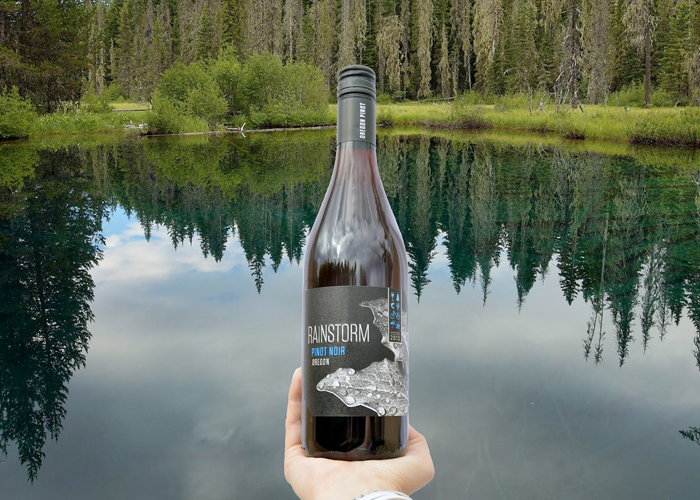 100% Pinot Noir from the Willamette Valley, Oregon. A beautiful expression from one of the top Pinot Noir regions worldwide. Rose pink with aromas of strawberry, rose petals and pomegranate seeds. It is completely dry with refreshing acidity.